Yay for Lauren Oliver! In honesty, her books have been hit and miss for me, but I still love her. 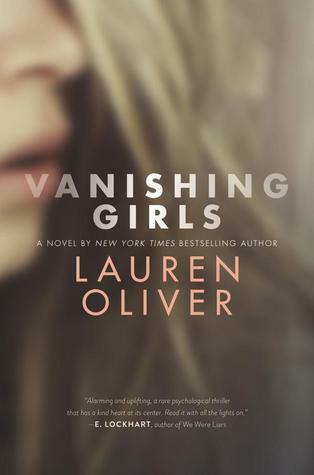 I love Lauren Oliver's books and am definitely looking forward to this one (even though it is a little outside of my usual reading choices) great choice! Ooh sounds like a thrilling read. I like the cover as well! Nice! This one sounds interesting, but think it seems too contemp for me. Hope you love it once you read it though! I'm waiting on this one too! The only Lauren Oliver book I have read is Rooms and I loved it. I'm really excited to read another one of her books and this one sounds like an interesting mystery/thriller. Great pick! I haven't read this author but I was lucky enough to be offered an egalley for this one so I am really curious as it sounds very good! This sounds like it'll be an amazing read! Nice WoW pick! Same here, I either love them or they are "eh". This story sounds awesome! Adding it.